After battling rush-hour stress and the British weather, we arrived at the Clapham branch of London Grace feeling far from relaxed. But the chilled vibe, soothing music and promise of cocktails quickly brought back a sense of Zen. 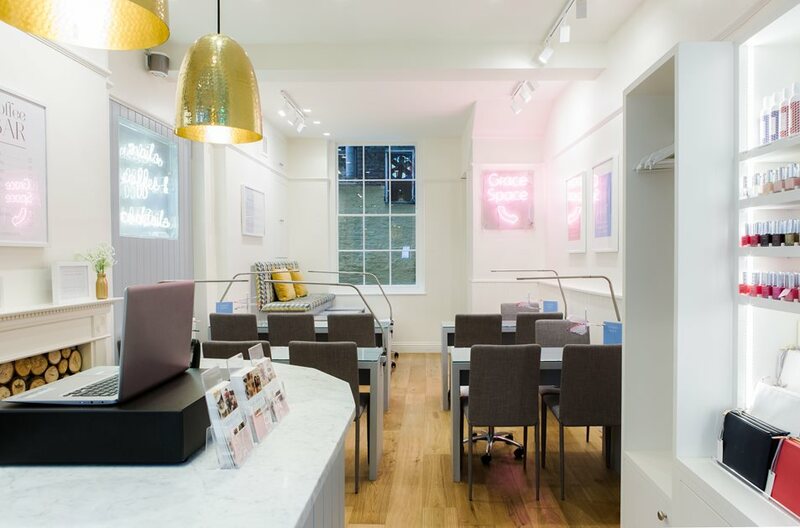 London Grace was started back in January 2015 by young entrepreneur Kirsten Hazell, who saw a gap in the market for an affordable American-style nail salon with late opening hours. Fast forward to today and London Grace boasts an accolade of awards, five stores across the capital, and Kirsten even has a place in the prestigious 35 women under 35 list. 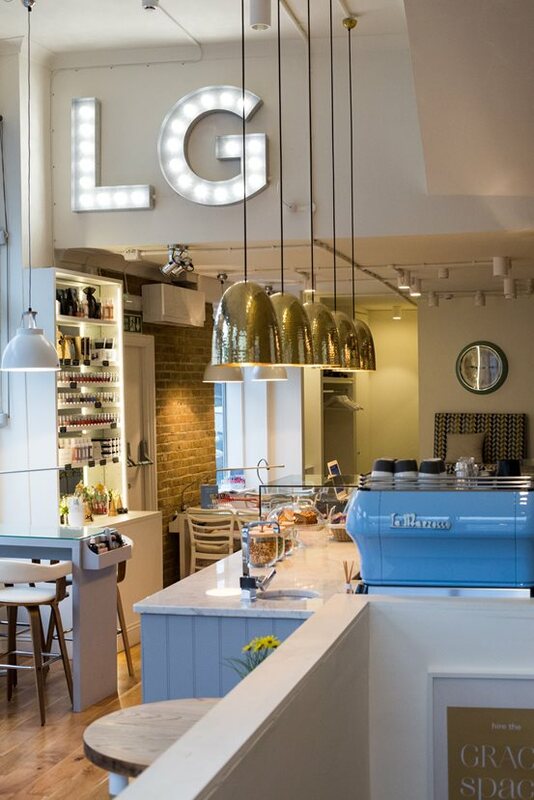 And it’s easy to see why the concept is so popular: a convenient combo of nails, coffee and cocktails, London Grace is the ultimate indulgence for time-poor Londoners. It’s super trendy too, with exposed brick walls, funky lights and a tempting display of cold beverages and tasty baked treats. We plonked ourselves on a group table and scanned the menu. After choosing a cocktail - a deliciously refreshing lychee martini - the next big decision was nail varnish colour. There was a lot of choice and therefore a lot of deliberation, but I finally decided on a moody grey, named Peter, and my friend opted for a deep red, named Mark. London Grace have their own brand of free-from nasties gel polishes, which glide on beautifully and are really rich in colour. Our friendly nail technician explained that Kirsten has named her colours after people who have helped her on her journey, and so as well as being a gorgeous shade of grey, Peter was a friend who’d really encouraged Kirsten to pursue her dream. We’d opted for the ‘Top Notch’ service, (£36 for gels), so our nails were shaped, buffed and polished to perfection, before our hands were treated with a luxe coconut moisturiser which had been created in-house. Everything about London Grace is slick and chic, but the best thing about the place is being able to natter with your friends until your nails are dry and your glasses are empty. Enjoy 15% off treatments completed between 11am - 3pm, Monday - Wednesday with a Portico Places card at any London Grace store. Not valid in conjunction with any other offer, subject to availability.